Crowe visited Crécy in the autumn of 1902. 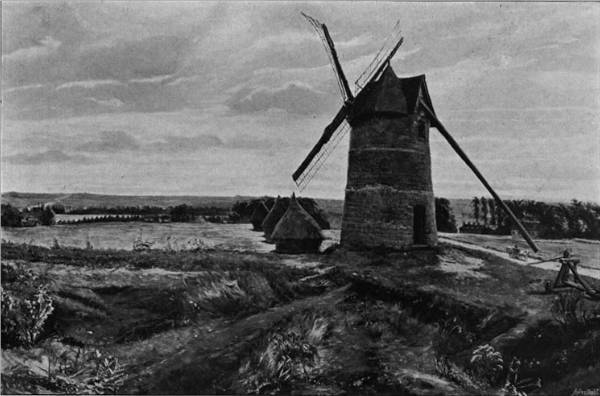 The old windmill had been torn down in 1888, but Crowe sketched the field, and a nearby windmill, to create the composition. This painting was one of those remaining in Eyre Crowe’s possession at his death, and was sold for £5 15s 6d at an auction of his remaining works at Christie’s in London on 18 March 1911.